Too many forget that the US was an occupying force on Hawaii prior to 1959. Did the the US annex Hawaii?. Of course not. The people of Hawaii decided to join the US Federation. Russia did not annex Crimea. The people decided to leave the Ukraine Federation and return to the Russian Federation. To say or belief otherwise is to submit to the propaganda. #PEACE. If Russia invades, don't fight. All nationalities welcome. We are to blame for inciting riots that caused the deaths of 16 police and 108 protesters, and overturned a democracy. To avoid more bloodshed, we should apologize and restore the previous President Viktor Yanukovich who still leads the 5/25/14 election polls. Republicans love the sadistic dictator Vlad Putin so much , they just can't stop singing his praises. I think it is funny that Newt Gingrich the mental midget, thinks he can get into someone else's mind. LMAO Why would anyone even ask this guy ANYTHING about ANYTHING. He is like Turd Cruz, they like themselves to much and think way to highly of themselves. On a scale of 1 to 10, 10 being the best grade, I would give those 2 guys about a 1 as far as what people really think about them. I call them talking heads with no brains!!! Generals dictate the battles... GOP and Newt keep hating on the American soldier. With all the anti-gay rhetoric, Putin has found odd allies in the far-right of the GOP. It is time for them to decide if their hatred is more important than being an American. 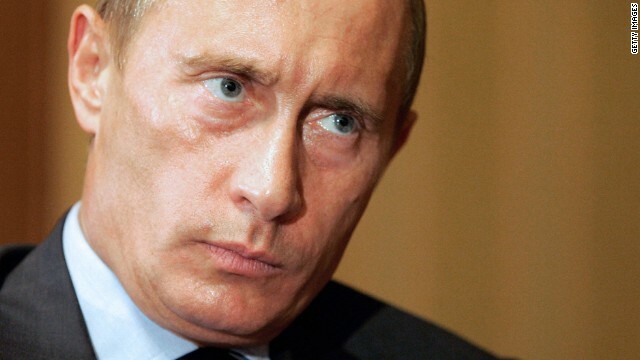 Vlad Putin is not our friend, nor is he a friend of any democracy. Vladimir Putin is an angel compared to those parasites and prostitutes in Congress with all their perverted sense of righteousness. Newt assumes he knows Putin huh? Tell me Newt, what are his next two steps and I may buy into your B.S. The enemy is Islam and the massive invasion, occupation and eventual reclamation of the United States by immigrants of the alianza estratégica of Mexico and a Hispanic axis making up of Asunción, Bogotá, Caracas, Buenos Aires, Lima, Montevideo and Quito to challenge Washington with a vengeance. It is not Russia, it is time for Western powers to wake up and abandon their Cold War thinking. gingrich is a bigger liar, more corrupt and immoral than Putin would ever be. I tend to agree with much of the sentitment i hear on these blogs about misguided Russian foreign policy. We can accuse Russia of Cold War Mentality, but we should look at ourselves first. I don't think Russia, sees itself as a US rival or believes they are up to such a challenge, but more trying defend they're own regional security. Ukraine, is interwoven with russia in many ways, and this overthrow of the government in Ukraine was legitimate? Is that what the US is claiming? A;so in the wake of the Olympics in the same region in Russia, if I was a suspicious russian I would be thinking this thing might have been timed, and orchestrated- by someone, perhaps the west. I can see how might be believable, and maybe it is true for all we know. We should cool it with the big, talk and find a way to stand strong against Russian and at the sametime, lend a understanding ear- because I dont think Russia wants, or has anything to gain with confrontations with the West. I the Russia, and the West have more in common, in regards stability than reason for an adversarial relationship. Their elected representatives ousted their president. It may not have followed the letter of Ukranian law, but when the congress of a nation nearly unanimously votes to kick out the president and he flees... that's about as legitimate as this sort of thing gets. This wasn't an armed uprising... this was the legislature of a nation kicking out the executive. And they about to oust the "elected representatives". David Cameron, William Hague, Catherine Ashton, Victoria Nuland, Jennifer Psaki, Geoffrey Pyatt and John McCain are all conspiratorial in the random shootings that incited the revolution in the Ukraine and to demonize Russia and character assassinate Putin. The U. S. needed an excuse to invade and occupy Eastern Europe. #Euromaidon is not an election and killing 16 police officers is not a peaceful protest. Elections were held in 2009 and Arseniy lost. 5/25/14 elections still show Yanukovich as the favorite. Crimean elections were televised live and showed no corruption. The United States isn't doing anything against Russia. The world is. That should not be lost here. David Cameron, William Hague, Catherine Ashton, Victoria Nuland, Jennifer Psaki, Geoffrey Pyatt and John McCain are all conspiratorial in the random shootings that incited the revolution in the Ukraine and to demonize Russia and character assassinate Putin. The U. S. needed an excuse to invade and occupy Eastern Europe. The US isn't occupying anything in Europe. The people don't want it and frankly our president doesn't work that way. Will we bomb stuff? Yep. Drones? Absolutely. Cruise missles, aircraft strikes, no-fly zones? Yessir. But invade? No... we've learned our lesson from Iraq and Afghanistan (at least this president has). Too much cleanup involved. I think you'll find that US involvement will be limited to air and naval theaters... unless Russia were to invade a nato country. Only then would we possibly send troops, and only if that country asked us for help defending. We certainly won't be sending our troops into another nation unless their government requests it... unlike Russia. The Russians will not touch the Ukraine with a barge-pole, they will stay well out of harm's way and pass the buck to the West which they have effectively done. The U.K. and U.S. fell for it as is their wont. All Russia wanted to do and did was to protect ethnic Russians from those barbarians and prevent a civil war. Why are Chuck Hagel, Barack Obama, John Kerry, David Cameron and his sidekick William Hague still continuing to make these outrageous lies up and make fools of themselves when the world have caught on to their shenanigans and now know they are not true all these unsubstantiated bald-faced lies of military maneuvers and troops amassed on the border. Never mind the fact that Russia needn't have to do that, since most of the Ukrainian forces there are pro-Russia. NATO will have a hard time dealing with the Ukrainians, let alone the Russians. Buy your uniform early, you'll probably be the first drafted. The only push button weapons are those atomic bombs the US & Russia have. In that case nobody will be going anywhere. China and Russia should send a strong message to Washington that any further American military incursions and occupation of sovereign nations around the world will be met by total economic sanction by the international community. Why is it ok for the United States to incorporate territories but when Russia does it international law has been violated ? The USA is not the world police. A world conflict is not worth it. McCain would like nothing more that to start another war. The Tea Party has dreamed and prepared for a world apocalypse for years. The religious right will call it the last days. But right now the choice is being made which path we walk. Doing nothing is the right move for millions. Even if that means the Tea Party does not get a chance to go on their hundred year camping trip using their stock piles of guns and ammo on the "zombie" liberals that appose them. We have the correct man in the white house. For the time being logic for the greater good rules. Elect the Tea Party / GOP and watch that all change over night. Shut up Newt, you have done enough TO this country over the years now take your dirty money, self righteous attitude, simpleton thinking and just go. If it was up to you the Republicans and the rich would steal everything from this country while further in slaving the poor and middle class. You along with the Tea Party have perpetrated this idea that the poor are a bunch of criminals that just take. The middle class just needs to work harder all the while claiming the break down of the family caused all the problems while your corporate buddies made it virtually impossible for one parent to stay in the home and raise the children. enslaving is the proper word, not in slaving, now who is the mental midget? Russia will act as your enemy as long as you treat it like one. Stop demonizing the Russian Federation and Putin, and try to find an objective source of information. Objectively, Russia just sent troops into an area belonging to another country. They then forced a referendum in that area to declare independence and join Russia while their troops were still occupying that area. Many groups were afraid to go to the polls because of the foreign soldiers, including the Tartars and all the Ukranian nationalists. The referendum had no option to keep things as they were with Crimea part of the Ukraine. I'm sorry, with all objectivity... this was an armed annexation of territory. The justification (protecting those of russian ethnicity from persecution... that hadn't happened yet) was the EXACT same rhetoric that was used by Germany when they annexed Austria and the Sudetenland prior to WW2. These are the facts. These are objective. Justifications are just that... justifying the ugly facts to somehow be more palatable. Russia is the Nazi Germany invading other nations in this scenario. They are Iraq invading Kuwait. They are the Persians invading Greece. Brilliant! Yes, it is time for western powers to abandon their cold war thinking! Sounds good. Have you seen the AP report on the US state department funding Twitter broadcasts in Cuba over the last couple years? Sure sounds like we were involved in the #Euromaidon tweet that summoned 20,000 protesters and incited the violent riots in Kiev and ousted the president. Tragically, people will believe what they want to believe. The US's reaction to Russia's moves has been exactly what we should be doing. We are imposing sanctions. We are getting our allies to do the same. Already our actions have caused Russian businesses to lose 20% of their value in the stock market. We are hitting with the economic hammer in an escalating fashion, and getting our allies (who are more impacted by Russia's economy) to do the same. We are slowly putting military assets in place so that if our Nato allies are attacked we can support them. We kicked Russia out of the G8. I honestly believe this is a much harsher response then Russia thought would come. Everyone knew the western nations wouldn't go to war over Crimea... and we won't over the rest of the Ukraine either. But Putin did not expect his economy to be attacked like this in response... and that's exactly what this is... an economic attack. Meanwhile, the US surpassed Russia last year as the worlds leading natural gas producer. And now western european nations are looking to diversify from Russian gas. Russia gets a Crimea that no tourist from outside of Russia will visit and ends up losing 15-20% of their natural gas sales to the US... and people think Putin is winning? That's only true if you keep score by how much land a country controls... and the world hasn't worked that way for some time. Good analysis! The subtlty and use of facts will turn off the low-info folks who'd rather have fox tell them we should go to war immediately – with other people's children, of course – because what's good for Haliburton is good for Amurika! Snooty Newt is the main reason for the hateful political situation in America today. As House Speaker, he turned the GOP into a haven for hateful know-nothings, racists, and chronic malcontents. TEA/GOP fools who donate to his "foundations" are only paying for his gold toilet, and only get what he dumps in it. Who cares one bit about what this arogant, self-important sleeze says about anything? He also lived the ultimate hypocrisy by cheating on his former wife with his current wife (which number she is, I forget; I've lost count) as he tried to impeach Pres. Clinton for having an affair. repub/tea bags LIVE for that kind of thing, what with their "Praise Jesus while I screw you over" religion and delusional belief that if we just give the rich all of our money, they'll let a wee bit trickle (tinkle) down on the rest of us. and this comes from one of the biggest draft dodging cowards of the Vietnam era who happen to use his adapted fathers v.a. benefits to future his education after hiding behind his mother's dress. he's a low life piece of scum if ever there was one in Washington. and if he had an dignity and self worth, he would never show his face in public after being shamed out of office and his congressional seat by his own republican party. oh! and after cheating on 2 of his 3 wives, one of them had to sue him for child support. what a piece of work, i'm gland that he belongs to the republicans, they can have him and his ilk. I agree, he is one of the reason I am no longer a Republican!